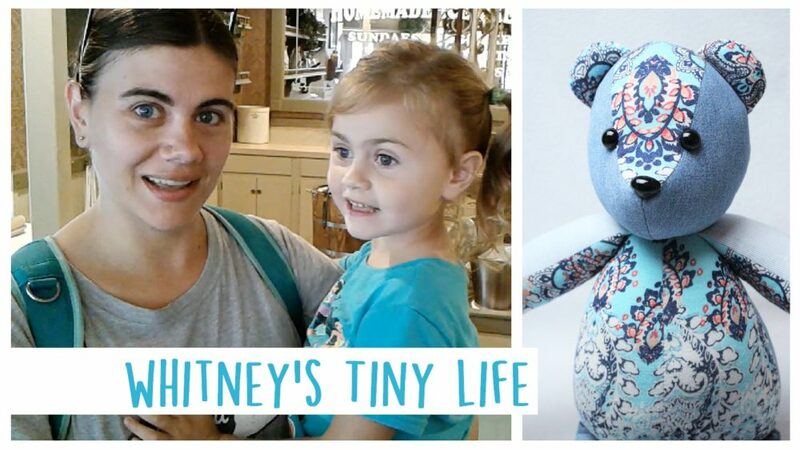 Did you know I have a vlogging channel called Whitney’s Tiny Life?!? I’ve been posting Week in the Life vlogs every Friday for over six months! Each vlog has a snippet of my day, projects I’m working on, and sneak peeks of what’s coming up on Whitney Sews. This week I worked on a vintage clothing collection video (coming tomorrow on Whitney Sews) and talked about my plans for making 1940s inspired jeans. I also spent some time working on a memory bear order. You can check it all out HERE! While you’re over on Whitney’s Tiny Life, make sure to hit that red subscribe button so you don’t miss out on my upcoming vlogs and sneak peeks! Want to see the other vlogs I’ve posted? HERE’s a playlist full of them! I hope you like the videos and seeing more of my day to day activities. Until next time, Happy Sewing! This entry was posted in Feature Friday and tagged Vlog, Whitney's Tiny Life.